Couple of weeks ago, i wrote about the security man who returned $10,000 which belonged to a bank customer. 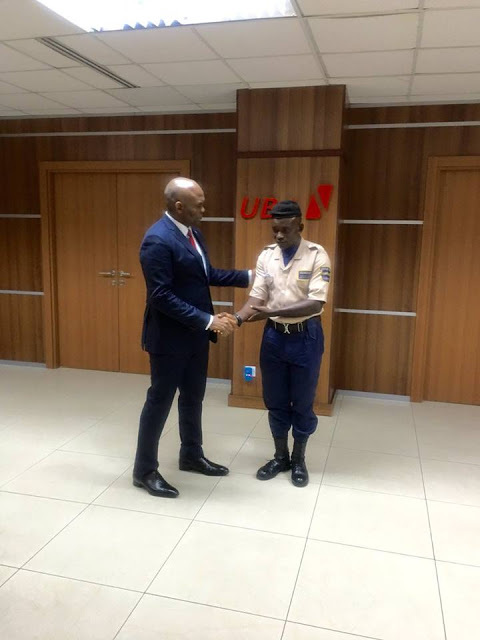 Mohammed Ogbanago, a security officer at the Oba-Akran, Ikeja branch of the United Bank for Africa (UBA), returned $10,000 which belong to a customer of the financial institution. In an exclusive interview with SaharaReporters, Mohammed disclosed that part of why he returned the large sum of $10,000 he found at premises of the bank which was misplaced by a customer, was to prove a famous comment by former British Prime Minister, David Cameron, wrong.